The shale industry is set to enjoy its best year, arguably in its history, but some drillers are not benefitting as much as expected because they locked themselves into hedges at lower prices. Interestingly, Tony Vaughn, the COO of Devon Energy tried to highlight the one area in which hedges have worked in the company’s favor. Unprompted, he pointed to the company’s heavy oil operations in Alberta. “The last area I will touch on is our attractive WCS hedges in Canada. In 2018, we have roughly half our production hedged at $15 off of WTI,” he told analysts and shareholders on an earnings call. 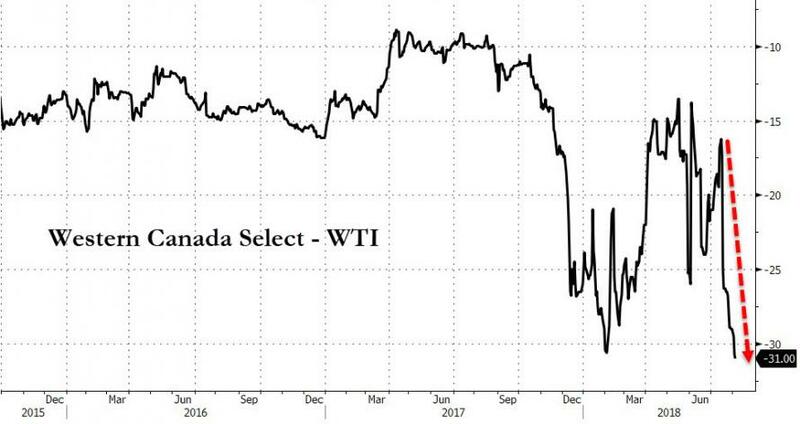 Western Canada Select has traded at a steep discount, dropping as low as $30 below WTI at some points this year. Looking forward at 2019, there is still a ton of uncertainty. Sankey of Mizuho might want shale companies to rid themselves of hedges to enjoy the upside of oil prices, but there is no guarantee that prices continue to rise. In fact, a Wall Street Journal survey of nine investment banks shows that pricing forecasts are all over the map. At the high end, BNP Paribas has WTI rising to $81 per barrel in the second quarter of 2019. But Commerzbank puts WTI as low as $58 per barrel for the same time period. There is no shortage of forecasts that fall in between. The uncertainty is exactly why drillers secure hedges. It’s just that sometimes the hedges don’t pay off.